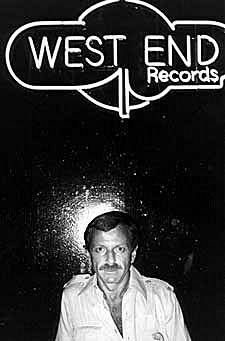 On New Years Eve I ended my two week long dance-less streak, arriving to a very full and fun Studio B whose NYE bash was in full swing at 1am. Sinden was already on, but I didn’t really have a chance to get pay attention because I lost my jacket and was spent the first hour I was there looking for it. I temporarily gave up the search so I could hit the floor and attempt to enjoy the music. The timing was great as I was able to catch Jokers’ of the Scene‘s set right from the beginning which was a wonderful, upbeat, thumping, crunchy, well-balanced mix of mostly new stuff – I recognized maybe 5% of their set which is becoming more and more rare. 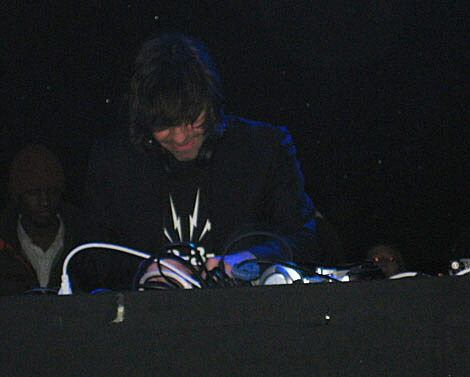 After Jokers, Reid Speed played a good set that was a lot of fun incorporating some current electro with old favorites (ie Prodigy), some Nintendo samples, and total oddballs (Diddy/whatever he’s calling himself now – Bad Boy For Life) which worked surprisingly well. The ridiculous bill for the evening was far from over, but the dj (who I didn’t recognize) after Reid’s set started playing a lot of Jungle which I wasn’t into, so I called it an early night (for New Years Eve anyway). 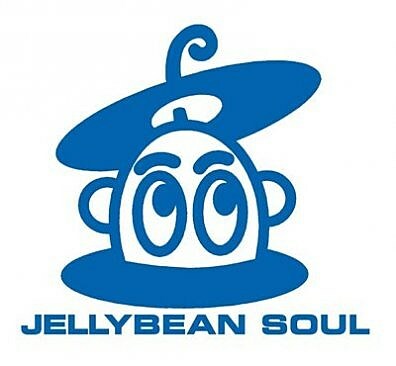 Friday night (1/9) Jellybean Soul and Ain’t Nothin’ But a HOUSE party present Feel the Spirit, a 5-hour set with Jellybean Benitez at Sullivan Room. Check out his podcast here. 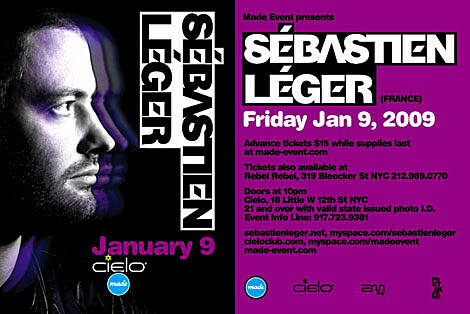 You can also hear some house at Cielo Friday night where Sebastien Leger will be bringing some of the more crunchy/techy variety. 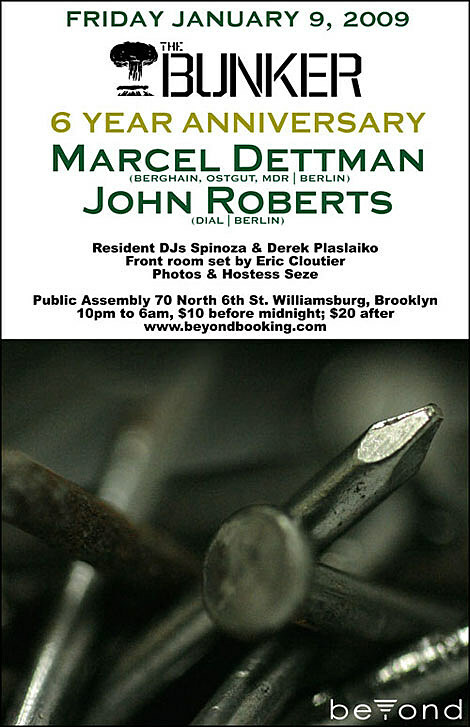 His sound is deep, raw, uncompromising techno, with heavy nods to both the classic originators of the genre (Carl Craig, Juan Atkins, Basic Channel) and newer producers on the cutting edge of today’s sound (T++, Sleeparchive, Shed, Luke Hess). 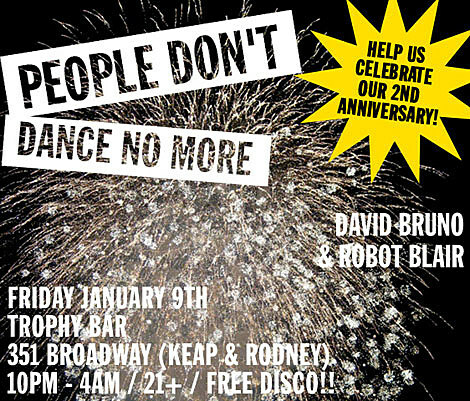 Also in Brooklyn, Robot Blair and David Bruno will be throwing down disco and other dancefloor delights at Trophy Bar to celebrate 2 years of People Don’t Dance No More! 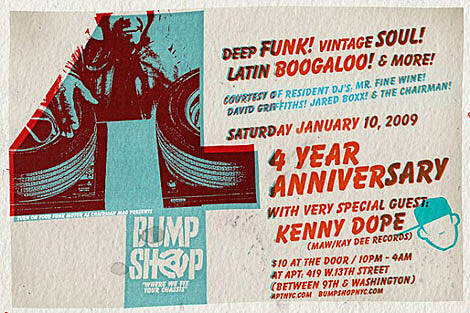 8pm – 4am. 21+. Advanced tickets available here. $30 at the door. 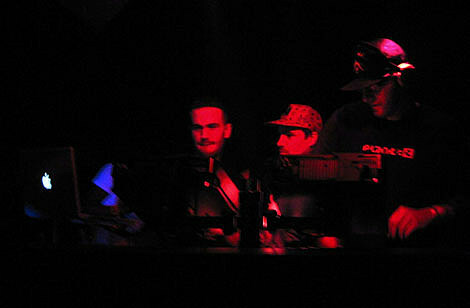 Also on Saturday night, the Trouble & Bass crew continue putting together interesting line-ups for our dancefloors. 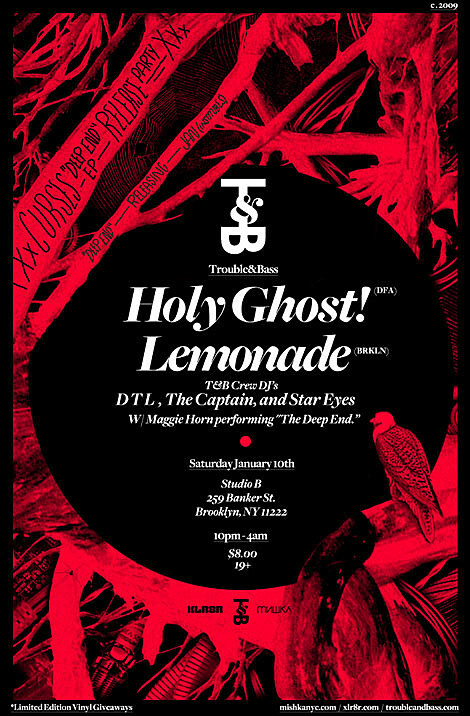 A couple of my favorite DFA-ers, Holy Ghost will be bringing their new disco to Studio B, plus Lemonade (who recently played the Annex) will be performing live, and Maggie Horn will be performing Curses! 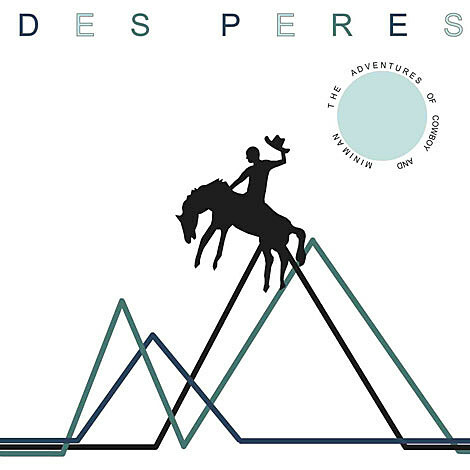 new track “The Deep End” in celebration of the release his EP of the same name, out soon on Institubes. 19+, $8 at the door. – Discotheque Sundays with Neil Aline is downstairs and free at Santos. 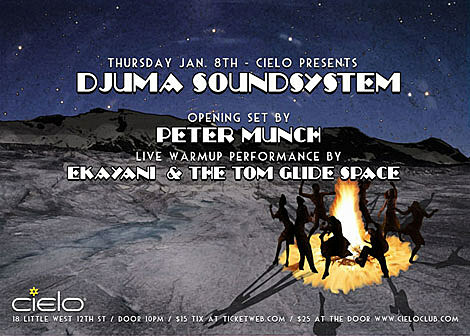 – Francois K is deejaying all night at Cielo. 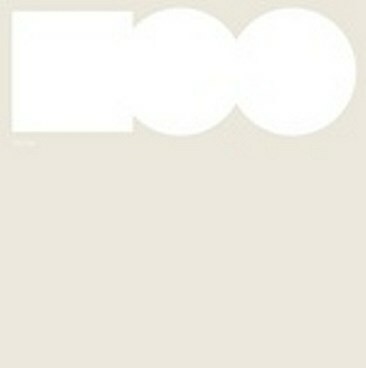 – Louie Vega and Kevin Hedge (Blaze Imprints) are at Cielo. 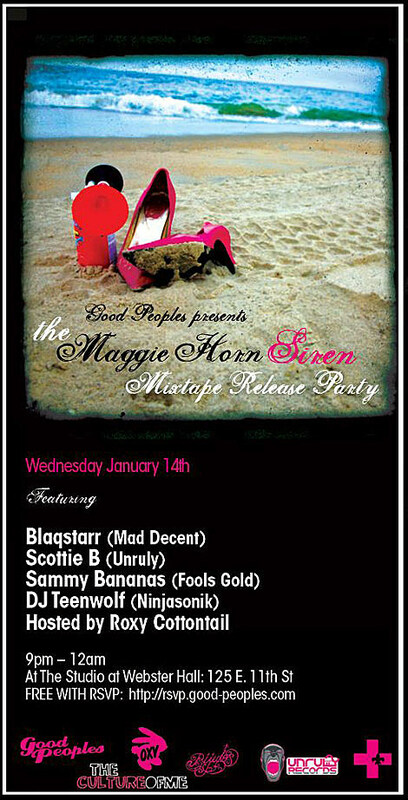 – Maggie Horn‘s Siren Mixtape Release party is happening at The Studio at Webster Hall. So…have you heard the new Camelface album? !